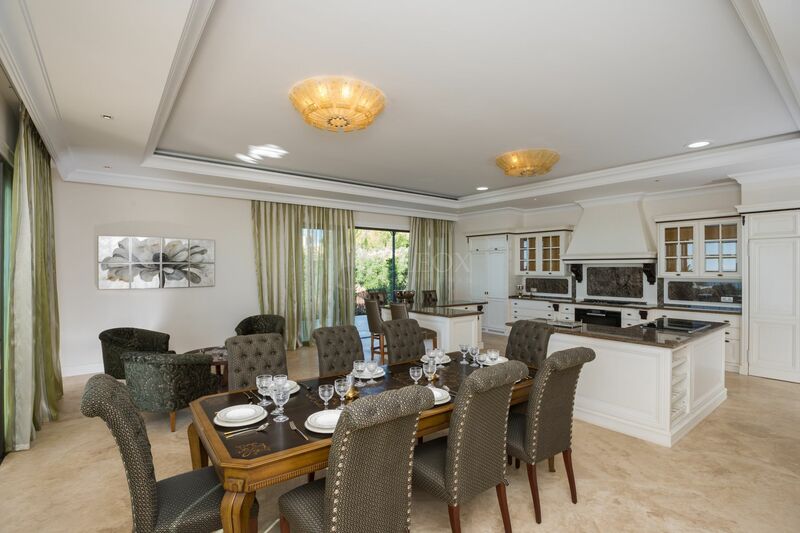 Stunning luxury villa for sale in Sierra Blanca, Marbella Golden Mile. 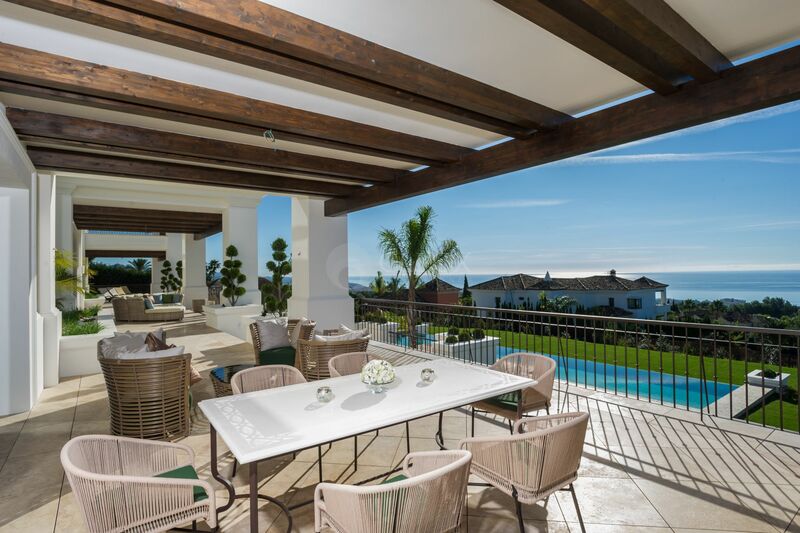 Stunning luxury villa for sale in Marbella, in one of the most exclusive areas of Costa del Sol, in Sierra Blanca. 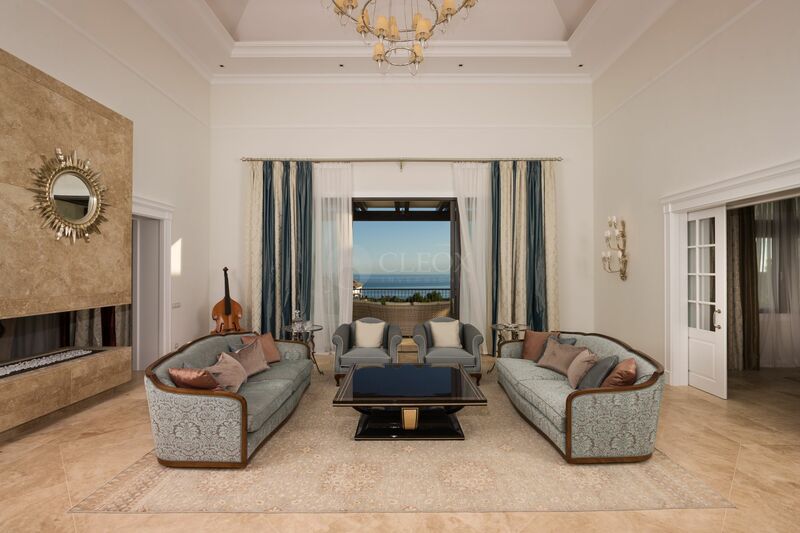 Located on a very private street, with panoramic views of the sea and the Mediterranean coast, the villa has been built with the best qualities of the market. 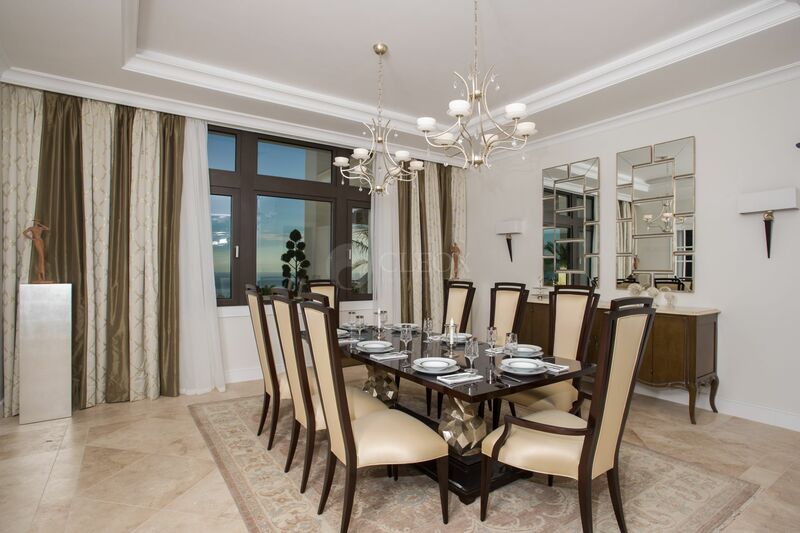 An elegant and classic architecture, with very modern spaces, where everything has been taken care of in detail. 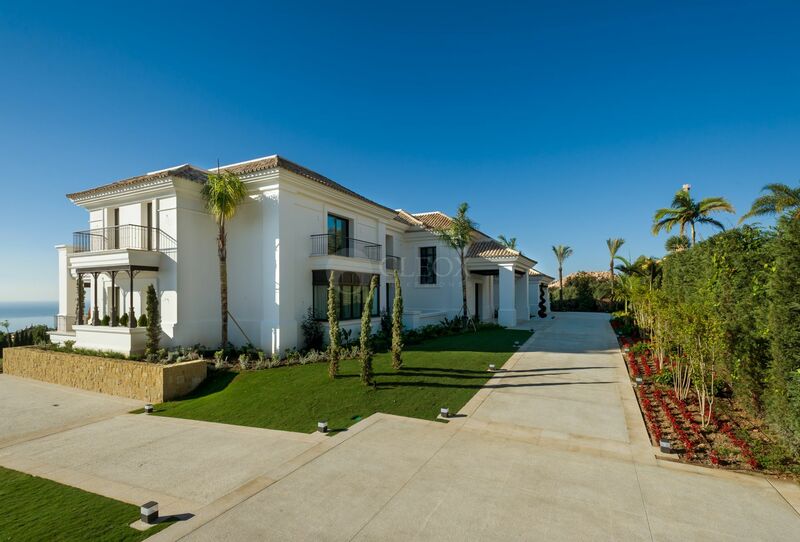 The villa was built on a plot of 5005 m2 and has a built surface of 1846 m2 plus 873 m2 of terraces. 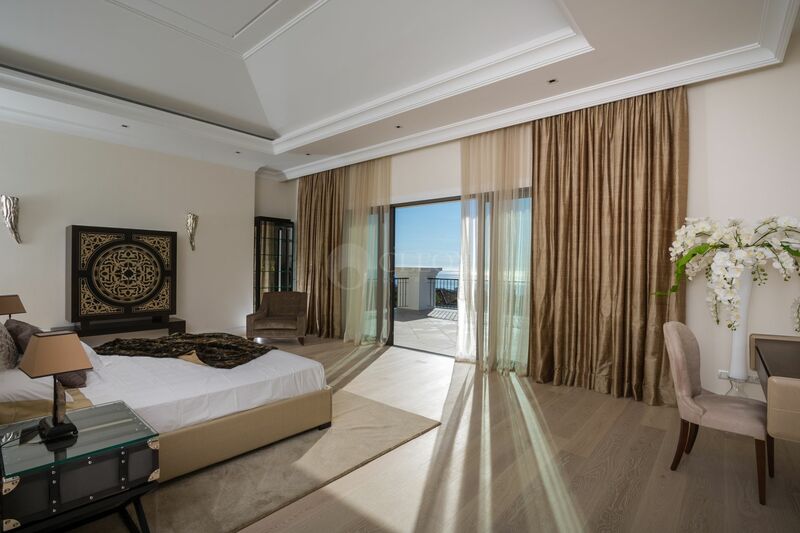 Seven bedrooms with ensuite bathrooms, from where you can enjoy stunning views of Marbella and its coastline to Gibraltar and North Africa. 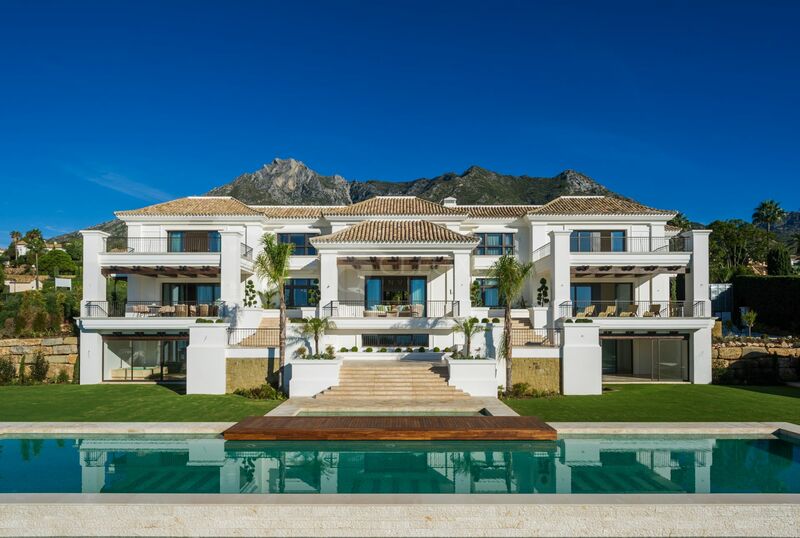 In a very luxurious environment, surrounded by the most exclusive villas in Marbella. The entrance is wide and modern. Lift. 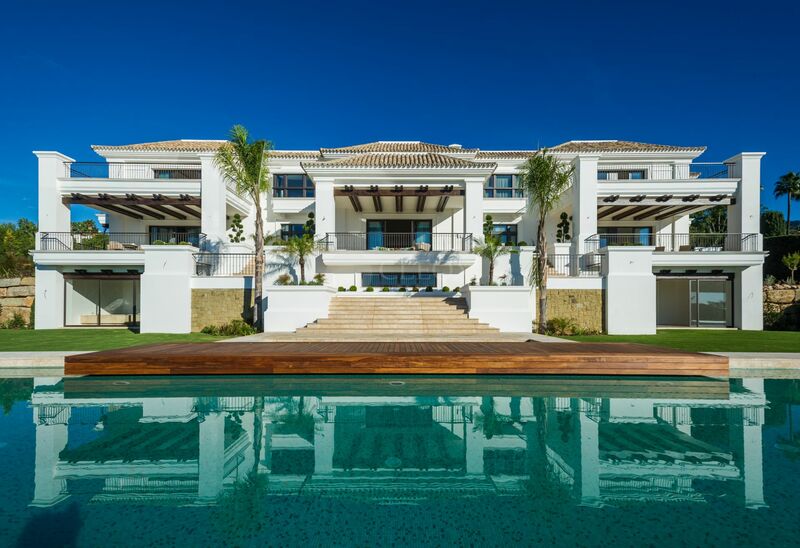 Large covered terrace with a staircase that leads to go to a well-kept garden and spectacular infinite design pool, of 161m2, with an intense blue color that blends with the of the sea and the sky. 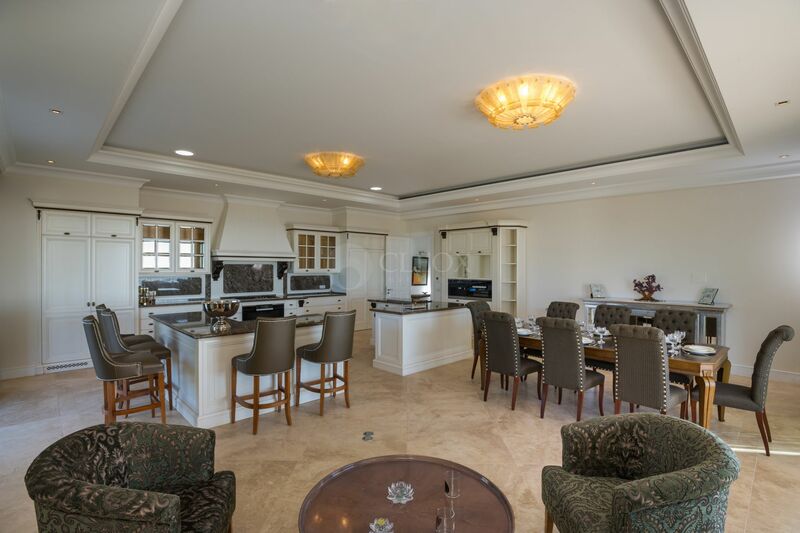 The high ceilings, the large rooms, which gives a feeling of refinement and comfort, with a modern fireplace that separates the different living areas. 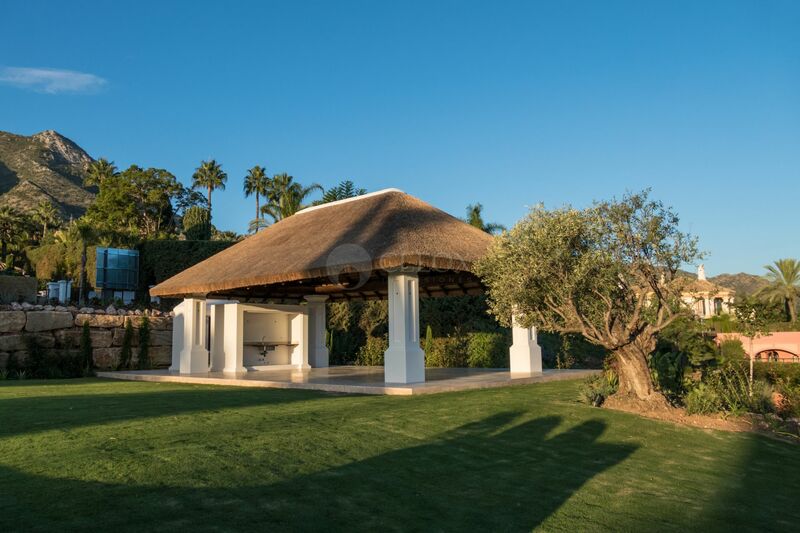 On the garden there is a private chiringuito type cabin of 106 m2 designed to organize meals outdoors. 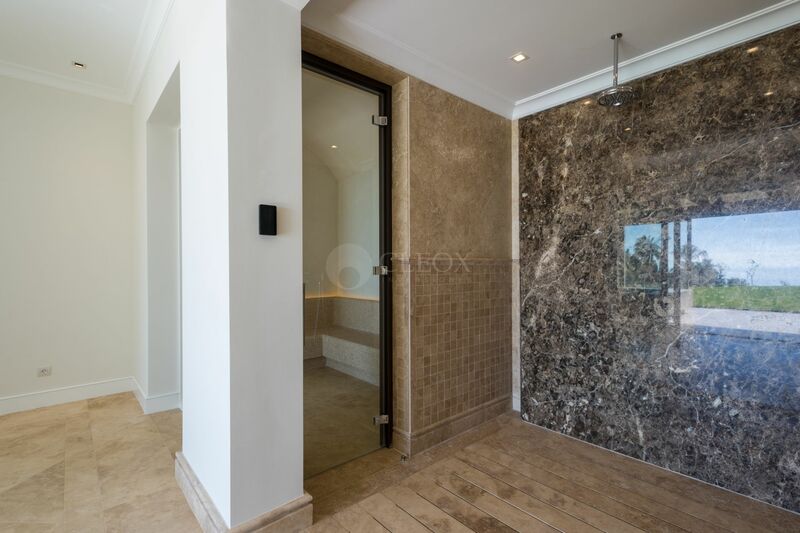 Gym and private spa with an outdoor Jacuzzi, games room and a garage for several cars. 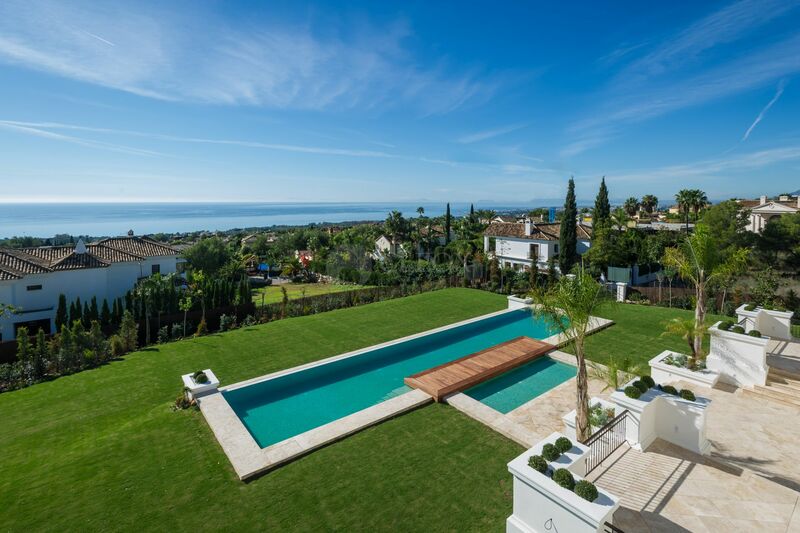 This exclusive brand new modern villa, for sale in Marbella, is one of the most prestigious homes in Sierra Blanca. 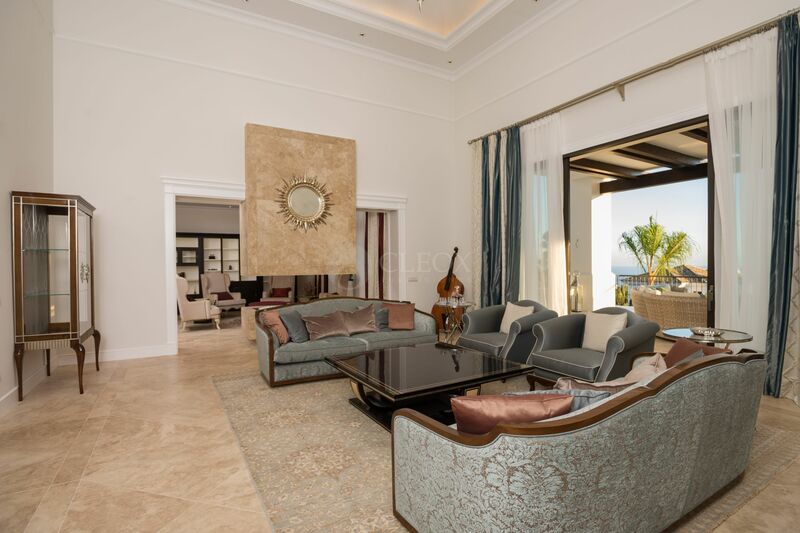 Please, send me more information about ref LUX0359 in Marbella Golden Mile, Marbella or similar properties.